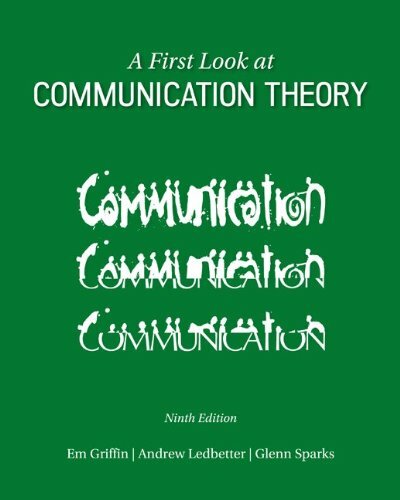 73523925 -The ninth edition of A First Look at Communication Theory justifies again the program’s enduring popularity. Em Griffin, now joined by colleagues Andrew Ledbetter and Glenn Sparks, encourages students who are encountering the field for the first time to tackle theories without fear. The authors introduce 32 diverse theories that are a mix of foundational and recent scholarship and, with the benefit of numerous examples and connections to pop culture, help students apply them to their own lives. This program ensures that students have a solid foundation with which to begin understanding the relationships between theories.